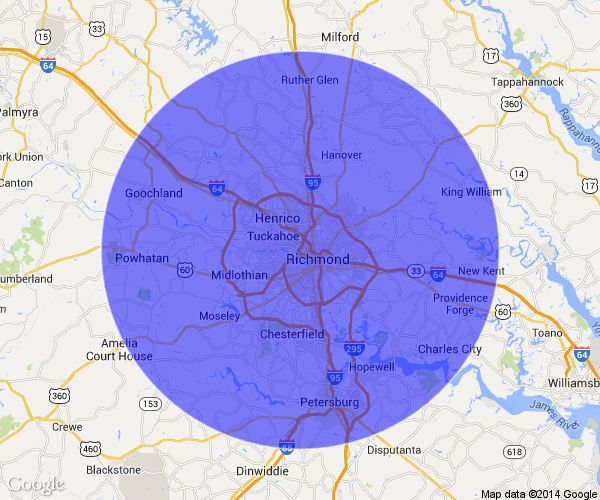 We are located in Richmond, Virginia in Shockoe Bottom. We will travel anywhere within a 30 mile radius from our location for no additional charge. Fees for locations further than 30 miles. More than 8 hours away in the United States. Getting Married in Mexico? No problem, we will come with you! Click here to view more details.